Vocus has been invaluable for the New Orleans tourism economy. New Orleans tourism is one of the largest industries in Louisiana, accounting for 78,000 jobs and bringing in $6 billion annually. 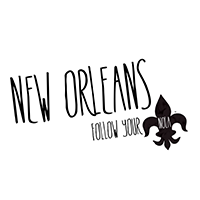 Much of the responsibility for keeping New Orleans’ lifeblood flowing falls to the New Orleans Tourism Marketing Corporation (NOTMC). As a city agency, NOTMC also has to show how its PR efforts impact the bottom line. “NOTMC receives taxes that go to tourism. Since we deal with public funds, we need lots of accountability,” Lea says. NOTMC has found great success using the software's news releases and publicity alerts to raise awareness of area culture, events and cuisine. The PR Analytics, Lea says, show the bottom-line impact. “The software makes my job easier. Other PR software providers may do three of the things that the Vocus PR Suite does, but none do all of them,” Lea says. “I tested one of their competitors and ran the same tests. The Vocus PR Suite produced larger media lists and more robust analytics by quite a large margin. Lea regularly invites TV shows like “Top Chef” to film in New Orleans to help keep the city top of mind. The ability to deliver and demonstrate success has paid dividends not only for Lea and NOTMC, but the city in general. “The Vocus PR Suite helps me enhance my expertise,” Lea says. “I take all of my knowledge, combine it with the software’s features and create the best product possible for our constituents.